George Stoney has been a professor of Film and Television at New York University since 1970. An innovator in the art of community-based film and video, he is an internationally respected media educator with a passionate interest in the history and culture of the South. He has written, directed and produced more than 50 documentary films, videotapes and television series including the Emmy Award-winning We Shall Overcome and The Weavers: Wasn't That A Time (both co-produced by Jim Brown), How The Myth Was Made, and the classic All My Babies, about an African American midwife in Georgia. Judith Helfand defines herself as a filmmaker/ organizer and has worked as a documentary producer and educator for the past ten years. Blue Vinyl, the 2002 "toxic comedy" co-directed and co-produced with Daniel Gold, was broadcast nationally on the HBO series America Undercover. Helfand co-founded Working Films, a nationally recognized organization dedicated to leveraging the power and prestige of documentary for economic, social and environmental justice. She and Daniel Gold formed a production company, Toxic Comedy Pictures, to create projects with a social conscience and a sense of humor. Susanne Rostock was described as "a visual and aural poet" by the judges of the San Francisco International Film Festival when awarding top documentary honors to Passin' It On, for which she also received an Emmy nomination for editing. Other editing credits include four Michael Apted productions, Moving The Mountain, Incident At Oglala, The Long Way Home, and the Inspirations series and the opening title sequence for The Cosby Show. She edited Harlem Diary, for which she won a Silver Apple; Calling The Ghosts, which received the Human Rights Watch Nestor Almendros Award and the George Kennedy Journalism Award; Stealing The Fire; The Sweatbox; and most recently Paternal Instinct, directed by Murray Nossel. In 1934, Southern textile workers took the lead in a nationwide strike that saw half a million walk off their jobs in the largest single-industry strike in the history of the United States. For a time, these new union members, in response to New Deal legislation, stood up for their rights and became a force to be reckoned with in the South. Then management moved in and crushed the strike. Some mill workers were murdered, thousands more were blacklisted, and many were so intimidated that "union" became a dirty word in Southern communities for decades to come. 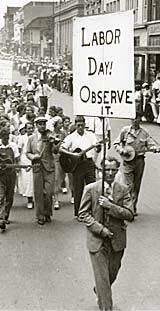 Barely publicized, rarely acknowledged in history books, the General Textile Strike of 1934 remains a stirring yet amazingly forgotten chapter in Southern history. The Uprising of '34, a film by famed documentarian George Stoney and independent filmmakers Judith Helfand and Susanne Rostock, examines this hidden legacy of the labor movement in the South and its impact today. For decades, it seemed as if all memory of the General Textile Strike had been buried with the workers who died in its front lines. Stoney and Helfand spent nearly six years tracking down and interviewing surviving strikers and their relatives in Georgia, Alabama, Tennessee, and North and South Carolina. In these candid interviews, the workers' courage and pride is still heart-wrenchingly evident over half a century later  along with the grief, disillusionment, and lingering fear of retribution. "I took a man's hat off his head and fanned him 'til he died, 'til the breath left him," Mrs. Atkins, an elderly mill worker, remembers sadly. "But I ain't got no more to say into it. I've been trying to forget about all of that, and this is just bringing it all back up." Kathy Lamb, a former mill worker's daughter, is flabbergasted that her father never mentioned the strike. "I can't understand why my Dad didn't tell me. He could talk about the war and about people being blown to bits, but he couldn't talk about his neighbors being killed. It's like somebody trying to hide a dirty secret about their family, like they're ashamed. They ought to be proud of them. They stood up when other people wouldn't." The Uprising of '34 intercuts this heartfelt testimony, often spoken for the very first time, with extraordinary archival footage of the strike itself and the miserable working conditions that led to the walk-out. Mill owners' non-compliance with New Deal legislation resulted in speeded-up production, which forced workers to produce the same in eight hours that they used to in 12 and for wages far below the federal government's newly established minimum. "You just feel like you've got somebody behind you, pushing, pushing, pushing  wanting more and more and more  to give you less and less," recalls former mill worker Leonard Knight. "People too darn sorry to pay anybody enough to live on, because they're afraid they're going to get a little bit ahead, then they can't get them to work for nothing!" adds another mill alumnus, Mr. Quattlebaum. "Like a man told me up in North Georgia, keep a man hungry and he'll work. That's the truth!" A thoughtful exploration of the paternalistic relationship between mill management and its employees, the relationship between black and white workers, and the impact of the New Deal on the lives of working people, The Uprising of '34 is "meant to challenge the myths that Southern workers can't be organized, that they will work for nothing, and that they hate unions," says Stoney. More than a social document, the film is intended to spark discussion on class, race, economics, and power  issues as vital today as they were 60 years ago. "This is more than a story about a strike; it's a story about community. We went out of our way to make sure that we didn't make a 'which side are you on' film," says Helfand. "The thrust of this film is to give the workers their chance to speak," adds Rostock. "We're very proud of the fact that here's a film in which they speak for themselves without a narrator." The Uprising of '34 was accompanied by an extensive outreach campaign that has made a lasting impact in the community and in the classroom. The Labor to Neighbor initiative involved more than 50 screenings and local events, bringing trade unionists together with diverse members of their communities. In Honea Path, S.C., the site where seven union members were shot during the strike of 1934, Kathy Lamb (who appears in the film) organized to build the first workers' memorial in the history of South Carolina. The educational materials (download PDF file) developed to accompany the film continue to be used in schools and museums around the country. Download a lesson plan to link the classroom to the community. 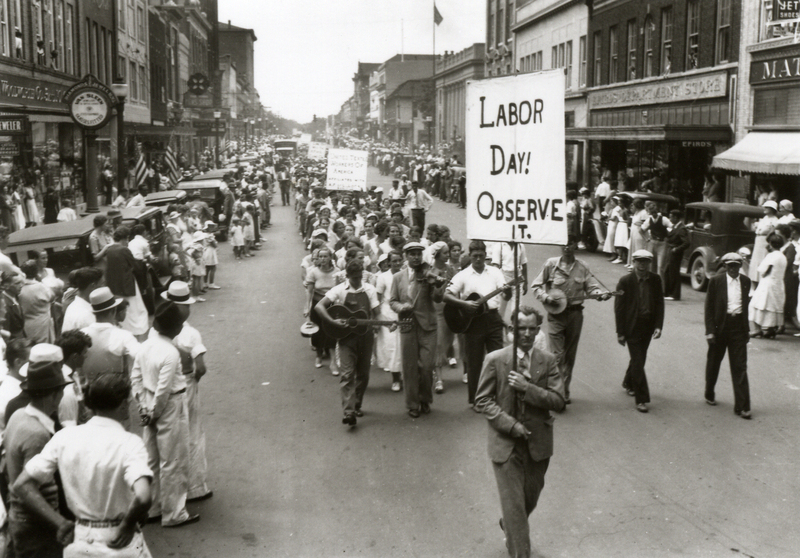 Labor Day marchers in 1934. 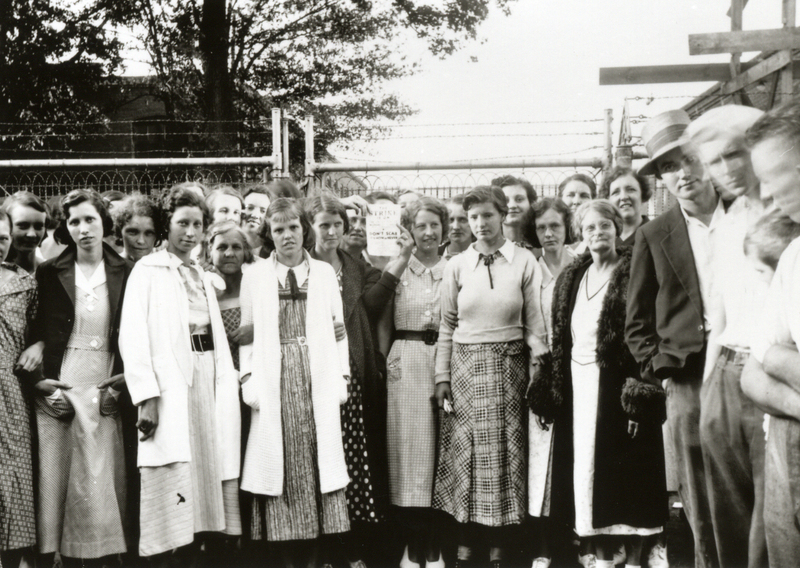 Workers protesting at the gates of a textile mill. 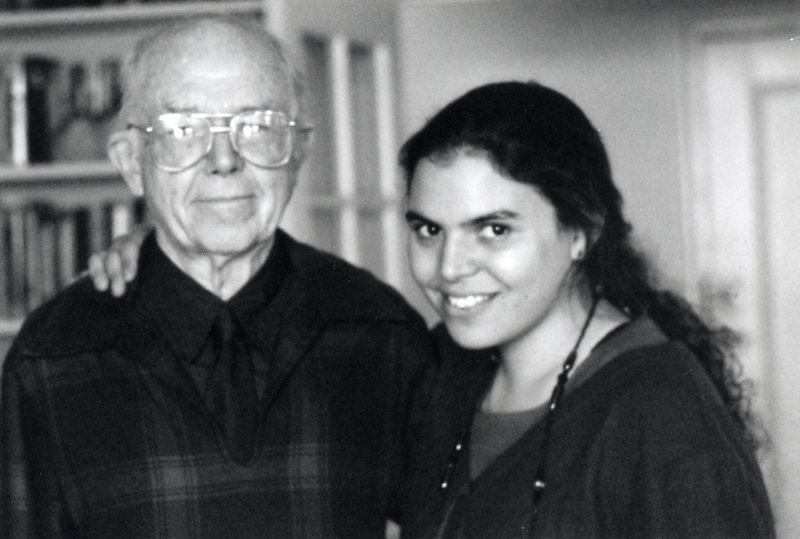 Filmmaker George Stoney and Judith Helfand.